The jacket of Connilyn Cossette's Counted With the Stars is deceptively simple. The contrasting colors and subtle embellishments create a sort of elegance and I like how the overall image gives the reader opportunity to imagine what kind of story it conceals. Four years on from discovering their true heritage, Sally and Luke have overcome their animosity to forge a trusting brother- sister relationship. So when Luke returns home from his post as a detective in the Hong Kong police force, he asks Sally for help to prove the innocence of his friend Irish, locked up in prison for the murder of his wife. Luke believes Irish was set up and wants Sally's help to prove it. But Sally already has her hands full. As well as tending her flourishing business empire, she must also pick up the pieces when her family - from her feckless sister Josie to her self-centred daughter Margo - runs into trouble. Moreover, she must put her own dreams on hold because the man she loves is not free to be with her. Facing betrayal and humiliation at the hands of her so-called loved ones, can Sally bring herself to forgive those who have wronged her? How can she help Luke? And what can she do when sorry is not enough? The sense of place plays a very important role in The Last Summer at Chelsea Beach. Which setting did you find the most evocative? 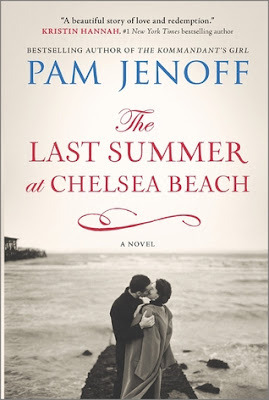 This sounds horrible, but the setting didn’t make an impression on me while reading The Last Summer at Chelsea Beach. I was keenly aware of Addie’s longing to find a place to belong emotionally, but her environment didn’t stand out in my mind while reading this narrative. Siblings often fall into distinct roles within a family. Did the relationships between the Connolly brothers remind you of your own siblings, or families you’ve known? I wasn’t raised with siblings, but I did recognize the roles each boy played in the Connolly household and I definitely appreciated the authenticity in the Jenoff’s illustration. Having watched larger families, I felt the concept both familiar and relevant. Addie’s choices altered her life very drastically. Have you ever lamented a path that you might have taken but didn’t? I think regret is a common sentiment among adults and while I can certainly empathize, I have to admit that my choices, good and bad, have led to things I couldn’t have been more blessed to have in my life so while I sometimes ask myself ‘what if’ I rarely dwell on the idea or let it overwhelm my emotions in any way. It seems at some points in the book that Charlie and Addie are fated to be together, but at others they seem star-crossed. Do you believe in destiny and meant-to-be, or is love a matter of free will? I’m definitely in the free will category. People grow and change and circumstances often dictate our decisions. I think some people are better suited to one another, but I don’t believe there is one perfect mate for any one individual. Addie was rather an independent woman without many close female friendships. Why do you think that is? What was it that drew her and Claire Churchill together? Independent? I hate to be contrary, but I didn’t get an independent vibe from Addie. In my mind Addie was frightened and hurt. She seemed the kind of woman that was always running from situations when life got complicated. Claire is the exact opposite and I think there is truth in the idea that opposites attract. 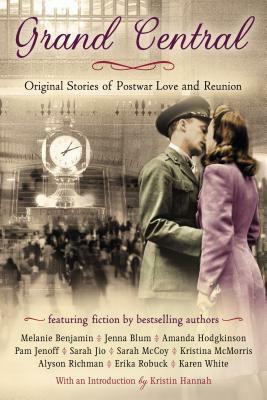 Did any details in the story differ from your perception of life on the home front during the Second World War? What surprised you? Nothing really surprised me, but that’s not unusual considering WWII is my favorite historic era. That said, I really liked how Jenoff captured America’s view of Europe’s conflict prior to the country’s official entry into WWII. 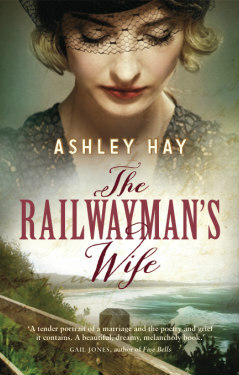 What do you think it was that Addie really wanted out of life, and did she succeed in getting it? What did she have to sacrifice or compromise? I think Addie wanted to belong and yes, I think she found a place in the end. I don’t think it brought the satisfaction she imagined, but I think she felt secure in her decision despite compromising the fantasies she’d created in her mind’s eye. Which of the men in the book would you have chosen for Addie (or none of them)? What is it about Addie’s upbringing and circumstances that influenced her romantic decisions? None of them. I think each represented something different for Addie, but I don’t think any one of them made a great partner. In the end I felt she settled for someone who could understand the pain of her personal history, but I’m not convinced the relationship she chose would be particularly satisfying. How do you feel about who Addie ends up with at the end of the book? How do you think Addie and Liam fare after the end of the book? I think I answered this a bit in the last question. I am kind of sad that Addie didn’t go for someone who challenged her more. Liam felt like the safest option and while I feel they’d have gotten on, I feel their life together would always be shadowed by their past experiences, Charlie’s affection, and their individual insecurities. 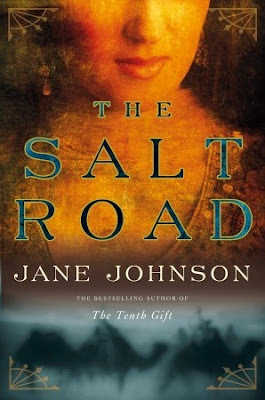 I think the cover of Jane Johnson's The Salt Road incredibly striking. Contrasting colors always catch my eye, but I find the pairing of orange and blue especially effective in this design. I appreciate how the artistic distortion of both the model and the camels below her bring depth and texture to the jacket and I like how the corner embellishments subtly frame the two as a single image. 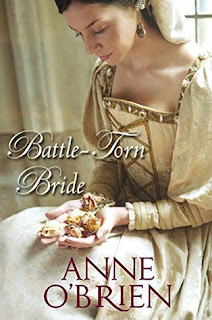 Forbidden to marry the man of her choice, Lady Beatrice Somerton was forcibly wed to another. Now her husband has met his death on the field of battle—perhaps by the hand of her first and only love. Should she still want such a man? Raised on the battlefield and in the most beautiful Moorish palace in the world, sent to England alone at the age of sixteen to take her place in a court where she couldn't speak the language, and abandoned and forced to endure poverty after the death of her husband, Katherine remained a woman of indomitable spirit, unwavering faith, and extraordinary strength. 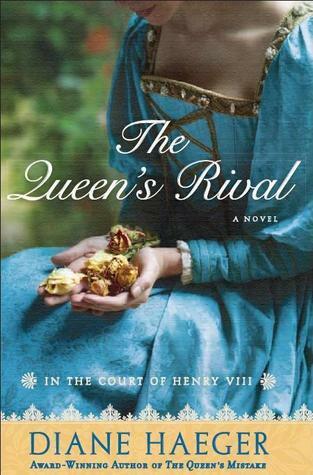 Philippa Gregory brings to life one of history's most inspiring women and creates one of the most compelling characters in historical fiction. 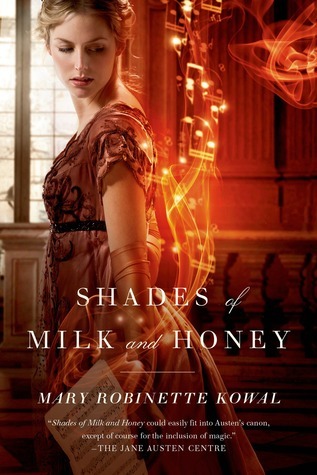 Mary Robinette Kowal's Shades of Milk and Honey has stopped me in my tracks on more than one occasion. The heat in the color scheme and the manipulation of light immediately catches my eye, but I love how the notes interact with the model. The book is a hybrid that blends elements of historic fiction and fantasy and I think this image capitalizes on both in the best possible way. Vivienne de la Mare waits nervously for the bombs to drop. Instead comes quiet surrender and insidious occupation. Nothing is safe anymore. Her husband is fighting on the frontline and the façade of being the perfect wife is cracking. Her new life is one where the enemy lives next door. Small acts of kindness from one Nazi soldier feels like a betrayal. But how can you hate your enemy when you know his name, when he makes you feel alive when everything else is dying around you? 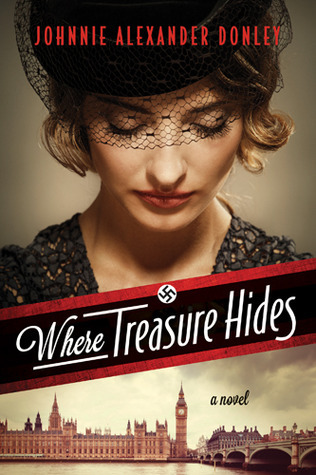 When Jake stumbles on a murder -- an American soldier washes up on the conference grounds -- he thinks he has found the key that will unlock his Berlin story. What Jake finds instead is a larger story of corruption and intrigue reaching deep into the heart of the occupation. 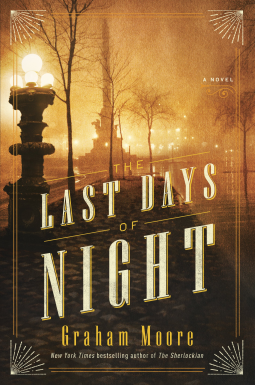 Berlin in July 1945 is like nowhere else -- a tragedy, and a feverish party after the end of the world. As Jake searches the ruins for Lena, he discovers that years of war have led to unimaginable displacement and degradation. 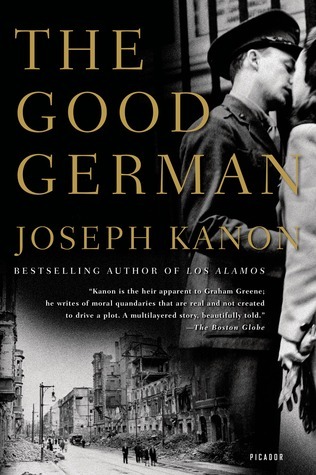 As he hunts for the soldier's killer, he learns that Berlin has become a city of secrets, a lunar landscape that seethes with social and political tension. When the two searches become entangled, Jake comes to understand that the American Military Government is already fighting a new enemy in the east, busily identifying the "good Germans" who can help win the next war. And hanging over everything is the larger crime, a crime so huge that it seems -- the worst irony -- beyond punishment. Now, ten bestselling authors inspired by this iconic landmark have created their own stories, set just after the end of World War II, in a time of hope, uncertainty, change, and renewal…. 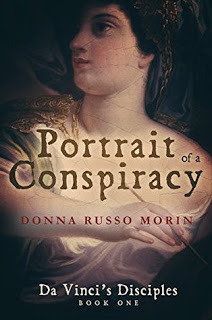 Author interviews are one of my favorite things to post which is why I am super excited to welcome author Donna Russo Morin to Flashlight Commentary to discuss her novel, Portrait of a Conspiracy. Welcome to Flashlight Commentary Donna. It’s great to have you with us. To start things off, please tell us a bit about Portrait of a Conspiracy. Thanks so very much for having me; it’s a pleasure to be here. In Portrait of a Conspiracy, the first book in the Da Vinci’s Disciples trilogy, a group of women artists who long to be a part of the astounding evolution taking place in the Renaissance, hone their skills together in a secret art society. When Florence erupts with violence—an assassination, an attempted assassination, and the retribution for both—the women are caught up in the deadly aftermath, hoping to save one of their own as the very challenge of it forces them to become better artists. I always try to do something different with each book I write, to push myself and challenge myself. I had always wanted to do a trilogy, but, as always, my books are deeply rooted in historical fact. After finishing my previous book, The King’s Agent, I knew I wanted to write more about artists and their lives. There is no better place and time to do that than in Florence during the Renaissance. Add to that the Pazzi conspiracy—the assassination/attempt, which is all fact—I found my trilogy’s beginning. What elements of the story are purely fictitious? To the best of my knowledge, there were no secret female art societies (though that doesn’t mean they didn’t exist, merely that history didn’t record them). Therefore, the women’s involvement in the very true acts that took place are fictitious. And while many readers may think the facets of Lorenzo de’ Medici’s retribution are so egregious they must be fictitious, they are not. He didn’t simply just execute near to one hundred men, he did so in the most gruesome of ways. There’s a section in the back of the book which delineates this very question in greater detail. Which of your characters do you feel you have the most in common with? 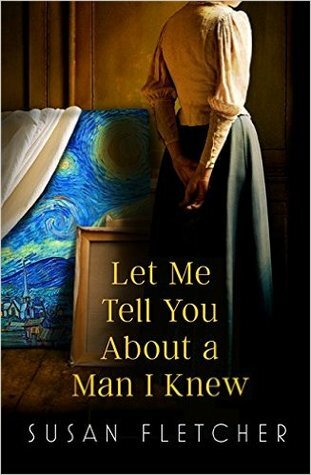 All the women in the book are loosely based on women in my life, including myself. I am Viviana. Much of it was difficult to put down on paper. Nor did I shine some golden light on her/me; all my warts are there, saying what I should only think, rushing into things when I should think more first. But it’s was a challenge to keep the character real while creating a heroine, or one of many. The novel has a lot of interesting thematic ideas. Which is your favorite? Which do you hope resonates with your readers? Most of all I wanted to pay homage to the power that is women united. I had been going through a very traumatic personal time, and if not for the real women, the women in my story are loosely based on, I’m not sure if I would have had the strength. Women have a different bond than men; we are much more personal and intimate with each other. We can also be a bit catty to each other. Yet, when I think of the world we inhabit, I long for woman to band together to affect real change. Together we have that power. There really have been two crucial pivot points in artistic evolution; one is the Renaissance. There’s no doubt in my mind that women were striving to be a part of it. The first truly recognized female artist came on the scene (and will be seen in the very last sentences of the trilogy) right at the end of the Renaissance. The ambition of these women, then, is set at the moment of its greatest challenge. With the political upheaval coinciding, it was just too rich a moment in history not to have set in this period. What sort of research went into Portrait of a Conspiracy? What sources did find most valuable? I typically do at least six to nine months of academic research before beginning any book. And most times, only a quarter or so of what I uncover makes it into my book. But I like to immerse myself in the period…from what they ate, what they wore, to how they waged war. I do include an extensive bibliography in the back of the book; however, the two books I found most helpful are April Blood by Lauro Martines and The Montefeltro Conspiracy by Marcello Simonetta. And, as with every book, I try to do some hands on research. I’ve learned to fence, to blow glass, archery (which I loved so much I know own my own bow), and dagger fighting. For Portrait of a Conspiracy, I took some painting lessons (I won’t disparage the art by stating that I ‘learned’ how to paint. You’re so right; there were many scenes I adored writing: when one of the women first encounters Leonardo, some of the scenes with Viviana and her sons. One that really stands out is when the women needed to paint a certain interesting part of a man’s anatomy; I had some fun there. This one is difficult to talk about without giving away some spoilers. Let’s just say it involves a particularly gruesome (though factual) torture and execution. But I’ve rendered it in the book in a very personal way. It makes the brutality taking place very personal, which, for me, was the only way to write it. It was troublesome (and some readers have baulked at it a bit) because it was, in essence, a need for justice finding its way on my page where it didn’t in life. Absolutely. This book was cut by over one hundred pages from the first incarnation. I really wanted to portray more of the historical and political events unfolding behind the women’s story. But it is their story, and doing so would have detracted from it. I do plan on posting some of my favorite deleted scenes on my blog. Historical novelists frequently have to adjust facts to make their stories work. 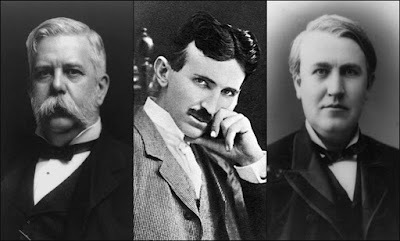 Did you have to invent or change anything while writing Portrait of a Conspiracy and if so, what did you alter? I actually think this is the first book that I haven’t had to make literary adjustments (though I will just a bit in the trilogy). Typically, I have only ‘played with time’ a smidge in my other books; bringing closer momentous events. These particular months, for that is all that the book spans, were indeed swollen with drama; I had no need to alter anything. I simple had my fictitious characters have relationships with factual characters. I know these women; the real one’s the fictional ones are based on. And oh yes, there have been drinks involved. In that case, it would absolutely have to be Leonardo da Vinci. I became fascinated with these years of his life, those before he completed the works that made him a legend. I would love to share a glass of Prosecco with that Leonardo. Just because I’m curious, if you could pick a fantasy cast to play the leads in a screen adaptation of Portrait of a Conspiracy, who would you hire? Since I’ve said that all these women are based on real women, I think it would be imprudent of me to pick an actor for each one. I will say that I would love to see Monica Bellucci (the ‘older’ actor from the latest Bond film, Spectre) in it. She was wonderful; so emotive. But I won’t say which woman she would play. Aidan Turner (from The Hobbit and The Tudors) would make an incredible (if better looking) Lorenzo de’ Medici. And, as a bit of an unknown, I’d love to see Colin Morgan (from Merlin and Doctor Who) play Leonardo da Vinci. He would have to change his hair color, but he has that wonderful ability to play a serious yet whimsical character who could hide the inner depths that belonged to da Vinci. I’m finishing up the trilogy, of course, (just finished the edits with my publisher on the second in the trilogy while I’m writing the third). I do have another work at crucial point in a book’s genesis that is completely different from anything I’ve done before. And I have yet another that I’m just aching to write. I hope I can always answer yes to this question. In 1921, eight ash trees were planted in the dorset village of Charlton Ambrose as a timeless memorial to the men killed in World War One. Overnight a ninth appeared, marked only as for 'the unknown soldier'. But now the village's ashgrove is under threat from developers. Rachel Elliot, a local reporter, sets out to save the memorial and solve the mystery of the ninth tree. In so doing, she uncovers the story of Tom Carter and Molly Day: two young people thrown together by the war, their love for each other, their fears for the present and their hopes for the future. 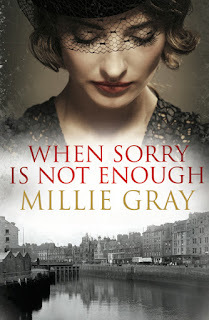 Embroiled in events beyond their control, Tom and Molly have to face up to the harsh realities of the continuing war, the injustices it allows and the sacrifices it demands. 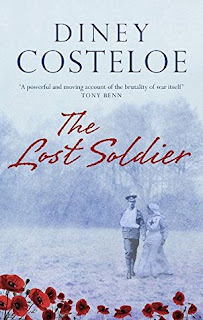 Originally published as The Ashgrove, Diney Costeloe’s The Lost Soldier begins in 2001, during a public meeting over a housing development in a village called Charlton Ambrose. Rachel Elliot, a local reporter for the Belcaster Chronicle, is captivated when one of the local residents objects the construction plans as they’d necessitate the destruction of a memorial grove planted to honor the village residents who died during the Great War. Rachel takes it upon herself to learn more about the trees and uncovers a long buried secret of honor, sacrifice, tragedy, and enduring faithfulness. Looking back on the narrative, I freely admit that elements of the modern story felt unnecessary. Rachel’s romantic interest in Nick Potter seemed entirely superfluous in my eyes and the familial connection she unearths struck me as contrived, but Molly Day’s history was so poignantly portrayed that I couldn’t bring myself to rate the novel any lower than five stars. Her story surprised me on a number of levels and I loved how relevant her experiences become to those trying to understand her trials through modern eyes decades after they occurred. Henry Smalley is a minor character, but one I grew very fond of over the course of the narrative. His journey is not chronicled in detail, but he is the kind of individual who exudes genuine compassion in an era when law and order did not bend to accommodate such sensitivities. Molly’s life is irreparably altered by the conflict, but Henry finds new purpose in the carnage of the Somme and takes it upon himself to look after those left scarred in its aftermath. There is something very human in this story and I appreciated how Costeloe’s themes drew her audience into the narrative. The action depicted during the first day of the Somme Offensive is brutal, but I was intensely appreciative of the authenticity such detail lent the text. 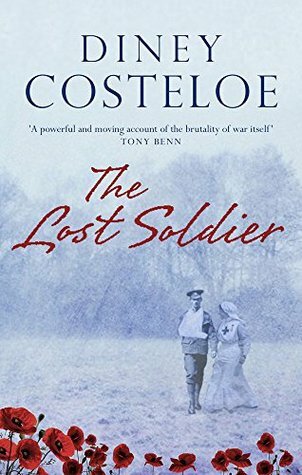 Beginning to end, the novel capitalized on the human elements of the war and I felt Costeloe’s manipulation of the material bridged the gap between a century old conflict and contemporary readers. I didn’t have any expectations when I picked up The Lost Solider. 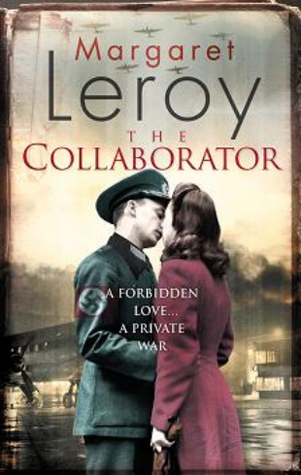 Not one of the reviewers I follow had read the book and while I was intrigued by the subject matter, I wasn’t entirely convinced it’d be the kind of war story that would hold my interest. That said, the novel surprised me and I feel it one I will recommending many times over in the years to come. “Who do you belong to, I wonder?” she asked aloud. There was nothing to indicate whom each tree commemorated… or that the place was a memorial at all. She moved from tree to tree until she had rested her hand on each trunk, and thought of all the young, fresh-faced men who had gone so jauntily to war, never to return to their homes here in Charlton Ambrose. Such high hopes they must have had. The adventure of fighting in a war, seeing a bit of the world, before settling down to their humdrum lives here in the country. The artist behind Robert Hicks' A Separate Country is a creative genius. Everything about this cover, from the the text fonts and muted tones to the layering of the design elements and subtle edge embellishments speak to the era in which the story takes place. Without reading the description, I've a good idea of where and when this story is set and am immediately intrigued by the image and the material it might conceal. Left suddenly penniless, the Honorable Sophia Grafton, a viscount’s orphaned daughter, sails to the New World to claim the only property left to her name: a tobacco plantation in the remote wilds of colonial Virginia. 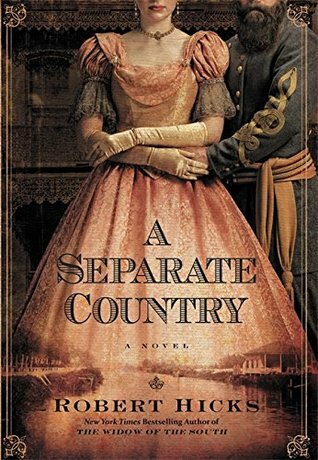 Enlisting the reluctant assistance of a handsome young French spy—at gunpoint— she gathers an unlikely group of escaped slaves and indentured servants, each seeking their own safe haven in the untamed New World. What follows will test her courage and that of her companions as they struggle to survive a journey deep into a hostile wilderness and eventually forge a community of homesteads and deep bonds that will unite them for generations. 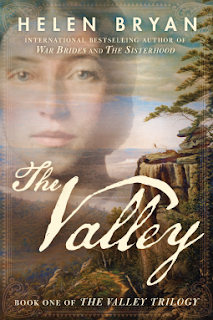 The first installment in an epic historical trilogy by Helen Bryan, the bestselling author of War Brides and The Sisterhood, The Valley is a sweeping, unforgettable tale of hardship, tenacity, love, and heartache. Before I get too far ahead of myself, I want to emphasize that I did not finish this book and will not be offering a rating of any kind. I managed the first hundred pages, but was so disenchanted with the story that I saw no reason to continue to push on the remaining five hundred. That said, I feel I read enough of the book to offer commentary on the portion I did complete and am posting my thoughts in way of explanation for having abandoned the piece outright. 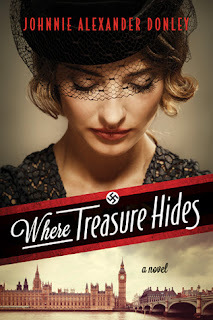 The Valley marks my second experience with author Helen Bryan and while I did not enjoy War Brides, I tried my best to see The Valley with unbiased eyes. 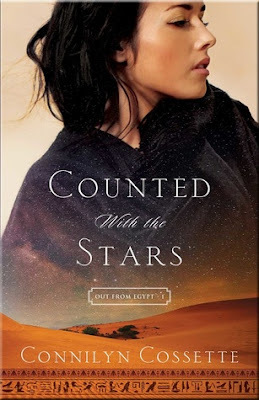 I was glad to note that Bryan's new release did not suffer the same trifecta of editing errors that plagued her earlier work, but new issues made it impossible for me to get into and appreciate Sophia Grafton's story and I ultimately decided the novel unreadable. It is my understanding that The Valley is based on the lives of Bryan's ancestors, but I feel the author's personal interest in the material made it impossible for her cut superfluous detail. To be perfectly blunt. the jacket description has more action in its synopsis than the first hundred pages of Bryan's work and I'm not inclined to pretend I appreciate glacially paced lit that is overburdened with redundant and unnecessary minutia. I found Bryan's development of Sophia thin and stereotypic, but her presentation left me so bored and disinterested that I found no reason to continue. The promise of a dress allowance was sweet, but above all she wanted her father to love her again. And it seemed that the only way that would happen was if she became more like her mother. How was she to resemble a dead saint?